This is my first income report ever and let me tell you, it makes me nervous! I don't typically share anything about my income to friends or family and here I am sharing it on the Internet. I do have a reason for sharing my income report though. How I make money while traveling full-time? How can I afford this life? How do you film the videos and what gear do you use? …and even more “how – to” questions. So I've decided to start teaching what you all are asking about. My background is in Accounting and Finance and what better way to use it then to teach on financing a full-time travel lifestyle. I figured the best way to show you all how to have this kind of a life is to literally be the example and the story. In my last post on How to Make Money Online Traveling in an RV and the video on YouTube, I announced a huge change that happened in my life. Well I made it happen. After traveling for a year, full-time, I wanted more freedom and I was working 60-80 hours a week. 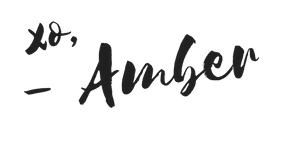 I was considerably stressed even though I really love this company that I worked for – but the pace was starting to get to me and I just felt like I needed a change. I was documenting my travels on the blog and YouTube and was able to tap into my creative side again – something I hadn't used in a while – and it felt really great and nourishing to my soul. 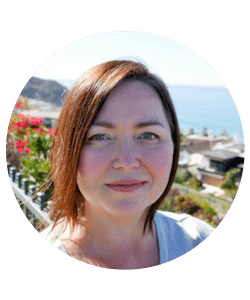 I took the BIG LEAP and quit so I can focus my attention on my own endeavors in business – like building my online business and coaching/consulting practice. 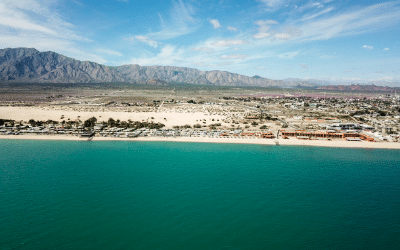 Even though I was working remotely this whole time – I still felt that I needed a change. Now I'm even more location independent, because I don't always have to stress about making sure there is an Internet connection – even though I depend on it for my own business – at least for a couple of days. I can relax more and take in the landscape in places that are more remote and not feel like I need to rush through it to make sure I'm available for my job. It's exciting, thrilling, and a little nerve-wracking, but I feel completely happy with my decision and am pushing forward! 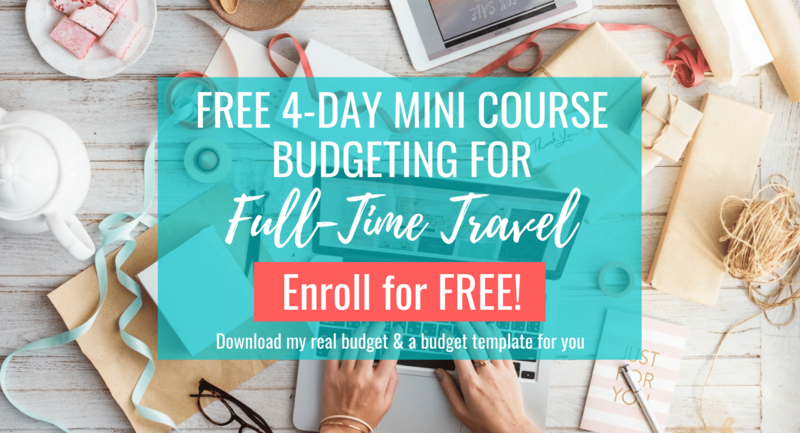 Sharing what I earn each month and from what sources will not only allow me to document my income, but to also see the growth or where I need to make adjustments. I also am posting my income so you can follow along and see how to build this business and what areas of income I'm generating so you can also do this for yourself. What my earnings were for the month. I hope by posting my income report that it provides you with some inspiration as to what's possible for you and your journey. My biggest hope is that I can share with you all a different lifestyle that's not considered the “social norm”, but that is completely enriching and makes me feel more alive than I've ever felt. This is why I named my blog and YouTube channel Story Chasing. I'm literally creating new stories and moments in my life and filling my brain with these special memories of my travels and the people that I've met along the way. I'm pretty darn happy! 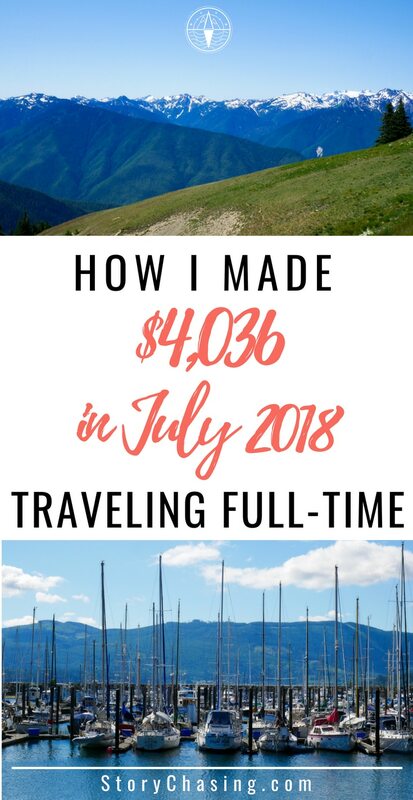 July was my first month after quitting my job so this will be my first income report even though I've been making a little bit of money over the last year on my blog. I have the StoryChasing.com blog and also the Youtube channel – which by the way, if you like what you’re seeing on my YouTube channel, please hit that subscribe button and click on the notification bell so you’ll know when I upload a video each week. Since this was my first month of full-time entrepreneurship after quitting my job, I wanted to take a little time off the first of the month to just rest before I jumped into things too much with the business. 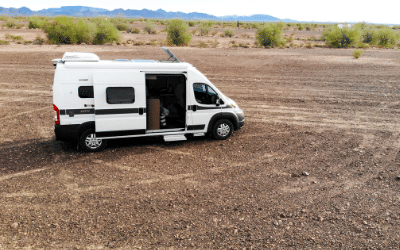 It was the high season of summer which is a great time for RVing all over the country – except for some of those states down south with temperatures soaring over 100 degrees. I didn't work as much as I wanted to and ended up relaxing more than I anticipated, but there were nights where I stayed up until all hours working on a backlog of projects for the business that I was able to complete. That felt really great. I like checking those tasks off my list, but I seem to keep adding more and more each week so I have a feeling I'll never be done with that list. The one thing I've learned in my life is to really pay attention to what my body and soul are telling me. I needed rest. So I gave in and rested, but I still got a lot accomplished. In July I was producing one video a week and a blog post which can be extremely time consuming in the learning phase. I still feel like I'm learning so much so sometimes editing the video, writing the blog post, editing the photos, and scheduling social media can take upwards of 16 hours. I'm getting in a rhythm though now that I can focus all of my efforts on creating. 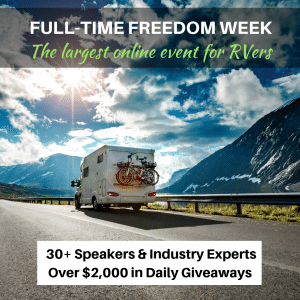 My goal for stst is to start creating 2 videos a week where Sunday will be all RV and travel related while Workshop Wednesdays will be about answering those questions on how to fund a full-time travel lifestyle or just generally how to make money online. Though it may sound like 2 videos a week isn't such a big deal, I'm a little nervous about doing it, because of the time it takes to complete, but I'm up for the challenge. I think as I learn more and find short cuts for editing and filming, which happen daily, I'll reduce the amount of time it takes for me to complete the process from start to finish. At the end of June, YouTube approved my application for monetization after 2 months of meeting the requirements to be a YouTube Partner. In order to qualify for monetization you need 1,000 subscribers and 4,000 watch hours. I started my YouTube channel in July of 2017 so it took from then until beginning of May 2018 to qualify. That said, I was so back logged with video footage that I hadn't published on YouTube last year, that I didn't really get most of those videos edited and officially published until 2018. Since YouTube monetized my videos, I started receiving ad revenue which really helped my July income increase over last month. I've received a few product sponsor deals that I'll be working on in the next couple of months which is another huge learning curve. My goal for August is to have over 5,000 subscribers on YouTube and to put together a free mini course for the blog. I haven't fully decided on the topic yet, but will be nailing that down soon. I'll also make sure to follow-up in the August income report with how I met my goals. Patron only videos and clips from outtakes to deleted scenes and raw footage of what it's like to live in 100 square feet. I've technically finished the Story Chasing Crew site, but I haven't formally announced it yet – so if you're reading this, you're getting early access! 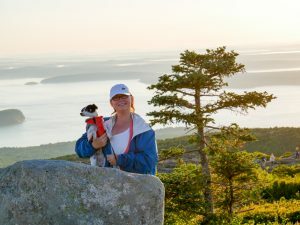 I'm Amber and I started StoryChasing.com and my YouTube channel last year in the second quarter of 2017 after selling my home and everything I own to travel full-time in an RV. When I first started out traveling I had no idea where I was going and then I came across a book called National Geographic 300 Scenic Highways & Byways. 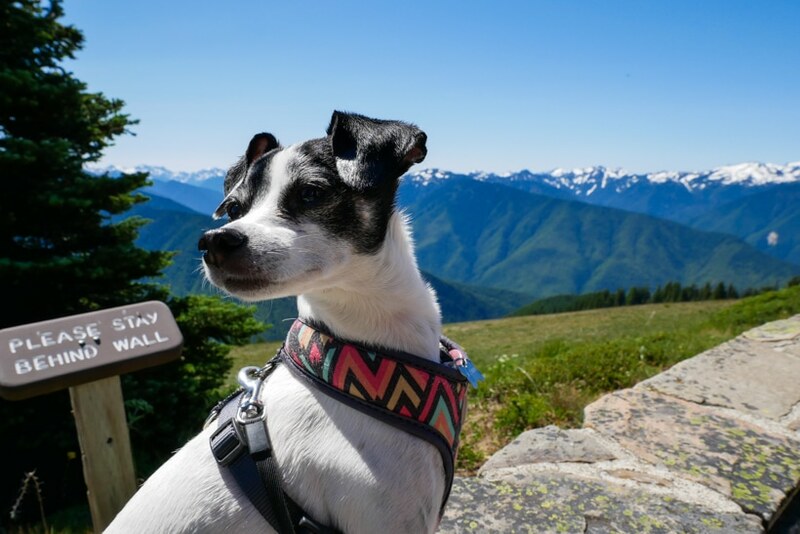 What a great way to see the country and learn about the areas around so I started a quest to accomplish all 300 highways and byways – with no end date by the way. From the beginning I documented my travels across the United States and Canada, through photos and video, so I could show that I've completed all 300 highways and byways. 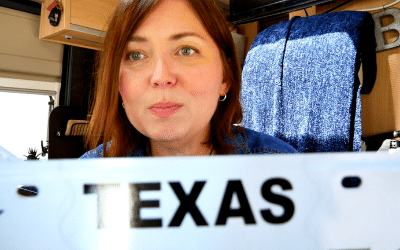 I'm the sole traveler, writer and videographer, marketer, editor, administrator, accountant, driver and whatever other hat is thrown my way in this adventure. 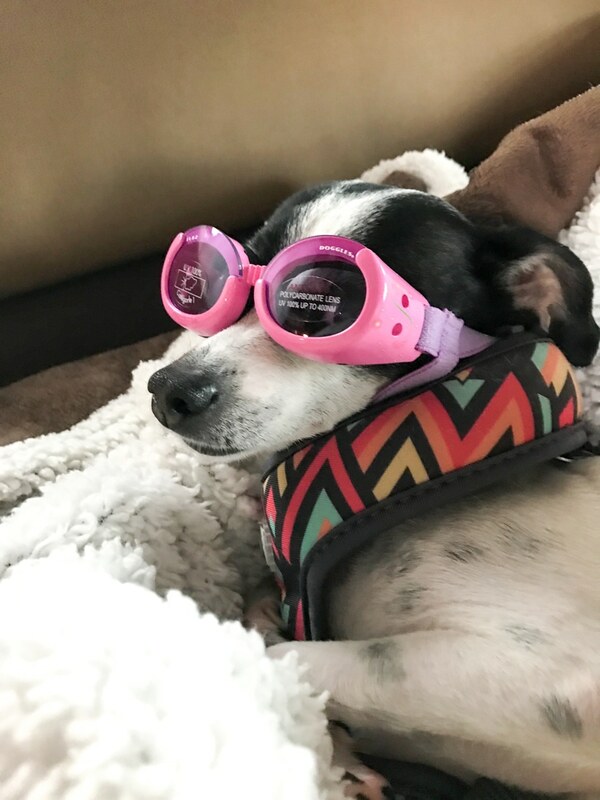 I travel with my fur baby, Lily, who is a 10 lb Whippet, Chi, Rat Terrier mix and an amazing traveler with her own car seat so she can see outside and be safely harnessed into the seat. Over the course of my travels I get asked quite a bit if I'm fearful to travel solo. I even made a video about it and how I overcome fear. It's been one of my more popular videos, because I believe it addresses a fear that we all have – whether you're a man or a woman – about being by yourself and living in this world without subjecting ourselves to the constant fear of others and media. I've discovered that the world out there is actually kinder and more beautiful then I anticipated and that I'm also much stronger than I ever imagined. I've conquered plenty of fears this year, but I believe those fears are just opportunities to overcome and the great success and reward is on the other side of that fear. I have worked in some capacity in Accounting since I was 17 years old and earned a Bachelors Degree in Accountancy and am a Certified Financial Crimes Investigator. Most of my career was spent in property management, construction, and real estate with the last company being a Private Equity Firm specializing in acquisitions and development of multi-family housing where I was the Director of Asset Management Accounting. Though I really loved my job, the company, and the people I worked with, I knew it was time for a change and to see what I could do with my own company. I've been blogging on and off for over 8 years and have created many websites and blogs and learned quite a bit about making money online. I just needed to figure out what I wanted to do in order to make money online. As my viewers started asking me questions, a natural business started to form where I could teach others the knowledge I have on various subjects. I'm so thrilled to be working in this capacity and help others. I've been coaching women for several years as well and it's a huge, huge, hugely fulfilling joy to help these woman overcome experiences in their life. Lastly, some of my income – that you'll see below in the July 2018 income report – also comes from an ebook I wrote about 5 years ago that helps people overcome rosacea naturally. It's not generating much income right now since I haven't really been focusing on the marketing very much in the last couple of years. When I first wrote the book it was generating about $200-$400 per month. I've completed a breakdown by passive income and active income with totals for each. This is an increase over June by approximately 112% which was due to YouTube monetizing my videos. Consulting/Coaching – $3,705 which most likely will go down in the future since some of this is derived from contracting for my previous employer. My bottom line goal is to increase my passive income, month-over-month by approximately 16.5% and I definitely hit that goal this month. Formally launch the Story Chasing Crew Patreon site. Increase videos/blog posts from 1 video per week to 2 videos per week with the introduction of Workshop Wednesdays. Finalize topic and create free mini course on blog. 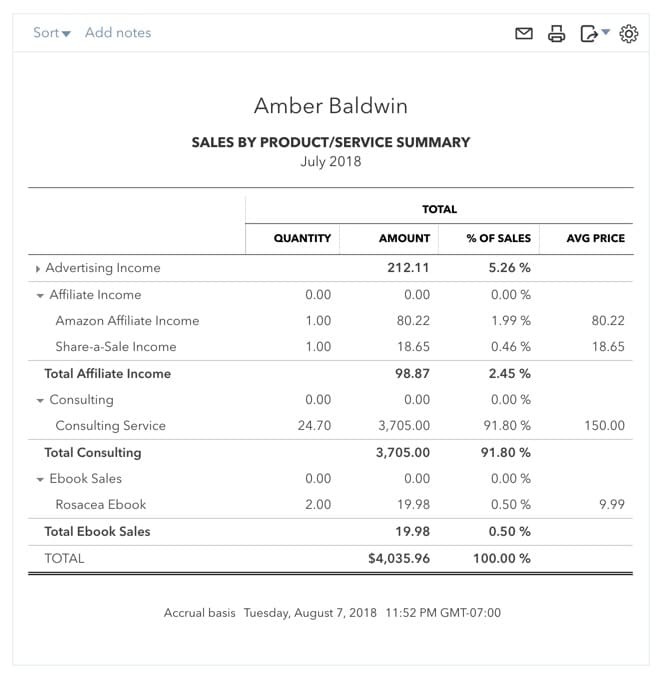 Please leave me a comment below on how you liked this new addition of the income report. What do you want to see? Was something missing? Did something not make sense? My question to you is how do you combat loneliness on the road? Love, love, love your videos!! As always, so proud of you and your determination. I have witnessed this strength since the beginning of our friendship. You are always inspiring to me. Jenn are you trying to make me cry?? Love you my friend! Can you explain what personal coaching you do? That was the majority of your income. Hi Maria – Most of the income was derived from consulting for my previous employer; however the coaching is holistic coaching for (mostly) women who are looking to be free from dieting, gain mindset control, manifest their dreams, and live now no matter what weight they are at. It's a tremendous experience we go through get rid of the ideas that hold us back from living our absolute best life. Thanks for your feedback Bob. More to come soon.